I’m starting a new series that I’ll be bringing to you over the next few months called the Psychology of Weight-loss for the healthiest version of you. So get your smarty-pants on and not only read the words but commit to yourself to put into action what you take in. What do you have to lose (except for those extra pesky pounds you’re so tired of)? I want you to know you currently possess the best and sexiest asset that with some rewiring can get the job started and be your biggest ally in helping you lose the extra weight you’ve been losing-regaining-losing for good. Imagine getting to your natural weight and checking this off from your to-do list for good. So without further a due let’s introduce your best asset: your mind! Your mind is the software that runs your entire body in what it wants it to do or not to do. The problem, we’ve defaulted to a lot of automatics, and it’s no wonder, as it’s easy to push the easy button in our busier than ever worlds. Some automatics you currently do serve and save you a lot of time like brushing our teeth or washing our hands without having to think about it anymore. But then there are those automatics that may be easy at the moment but don’t serve you in the long term of what you really want, like losing your weight and maintaining it ( the hardest part). Here are a few examples of the automatics that are sabotaging you. You had a tough day at work and without even realizing are grabbing snacks out of the fridge for the remainder of the night. All of that is to show you that there are a lot of automatics you may have set up in your day to day that doesn’t serve you in your long term goal of wanting to feel energized and thrive at your natural thin weight. But it’s so hard in the moment, as a lot of the time we are not even aware of the moment until it’s too late and here we go again, why do I keep doing this? So let’s start today in giving your mind over matter (your weight) a job to do. When you start asking your mind questions, you are tuning it in and connecting it to scan your body. Let’s unravel the automatics that are no longer supporting your real goals and set up new ones. You’ll begin with taking your mind and drawing its attention towards your body, and it’s hunger so that it removes the autopilot and giving it a new direction to take. Voila! 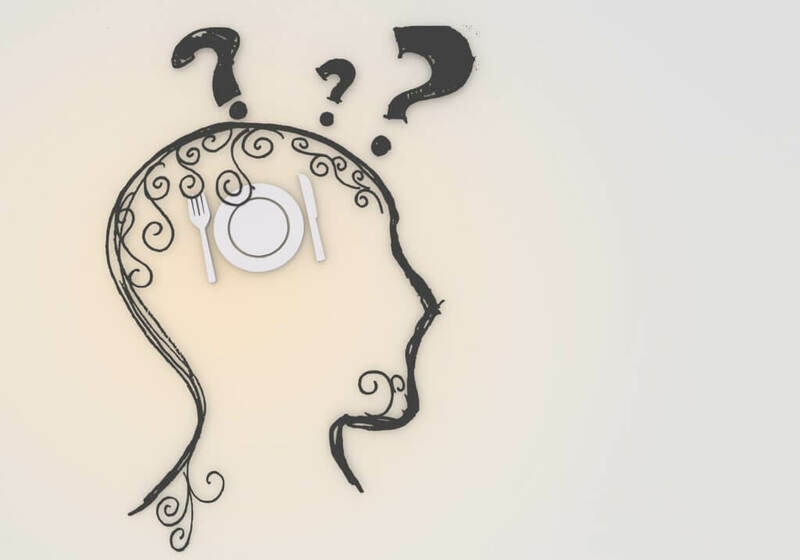 Just for your mind: Eating Awareness Checklist: Eating Awareness Checklist: Ask before, during, and at the end of any eating you do. – Eating fast or slow? – Mindlessly munching or noticing each bite? – Pausing ¼, ½, ¾ of the way and gauging how hungry are you still? – Multitasking or truly focused on my meal? I’ve seen women start to lose weight right away just by incorporating 1 to 2 of these at first, get good at doing that, and adding on the next.